Morgan Performance is a full service machine shop, specializing in turn-key production backed by an ISO Certified Quality Assurance Program that ensures the highest quality standards. 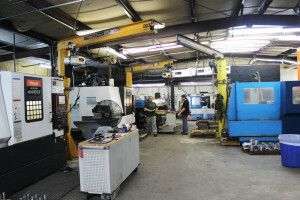 Our CNC machining area is climate controlled and houses more than a dozen CNC lathes and mills. Call 281-370-2465 or contact us online to discuss your project an get a quote for your CNC machine needs. We can work directly with your designers or engineers and can assist with design and connect you with an industry-specific engineer if needed for your project. We use the latest in CNC production software and accept all standard design software formats. Reverse engineering is available if you a part you want to reproduce but do not have design files for it. We can digitally scan and make 3D renderings of the part and then build an exact replica. We offer complete blanking, assembly and welding, and finishing services — 100% turn-key in-house. 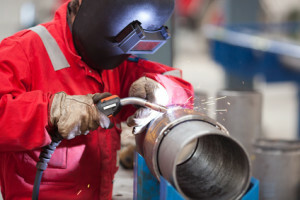 In fact, the majority of the work we perform and deliver involves welding. Our vast capabilities, flexible people and equipment, and dedication to quality control mean we can produce your completed components precisely to your specifications and deliver them on time. Additionally, we offer customized inventory management and production solutions to keep your operations moving smoothly and your throughput high. We can stock parts for you, keep raw materials on hand for fast production, or regularly produce your parts as part of your Just In Time (JIT) system. Learn more about inventory solutions. We mill all materials, from those easy to machine such as aluminum and plastic, to the most difficult such as Titanium, copper and stainless steels. 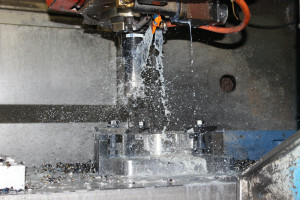 We cut with extreme precision using CAD/CAM software and newest CNC machine industry tools and equipment. Our strict Quality Assurance Program and our state of the art inspection process guaranty your parts meet your exacting tolerances. Our unmatched variety of machining capabilities combined with our center-stage ISO Certified Quality Control ensures that Morgan Performance is your “one stop shop” for all of your machining and custom production needs. Do you need a single custom made part? We can produce it. Does your job require an assembly combining machining, turning, sheet metal fabrication, welding, plating, milling, etc? We can build it. Are you looking for a local machine shop to Houston or southeast Texas with the latest in CNC technology? Give us a call or contact us online. Are you outside of Texas but looking for a dependable machining firm to work with that can deliver the highest quality products that meet or exceed your expectations with on time delivery? Morgan Performance is your solution. We support companies from an enormous array of industries nationwide. We look forward to hearing from you. Call us at 281-370-2465 or contact us online to discuss your project and get a quote.